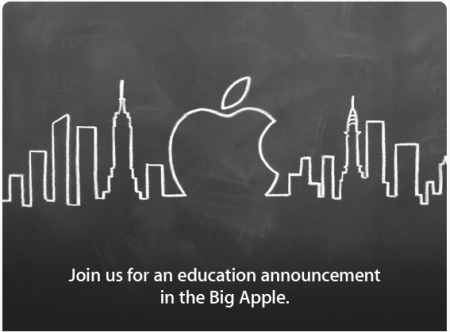 Join us for an education announcement in the Big Apple. He held meetings with major publishers about partnering with Apple, the book says. If textbooks were given away free on iPads he thought the publishers could get around the state certification of textbooks. Mr. Isaacson said Mr.Â JobsÂ believed that states would struggle with a weak economy for at least a decade. â€œWe can give them an opportunity to circumvent that whole process andÂ save money,â€ he told Mr. Isaacson. You can find the author of this post on twitter: @absar_malik . Please follow SaudiMac on Twitter and add SaudiMac on Facebook and SaudiMac on Google Plus.